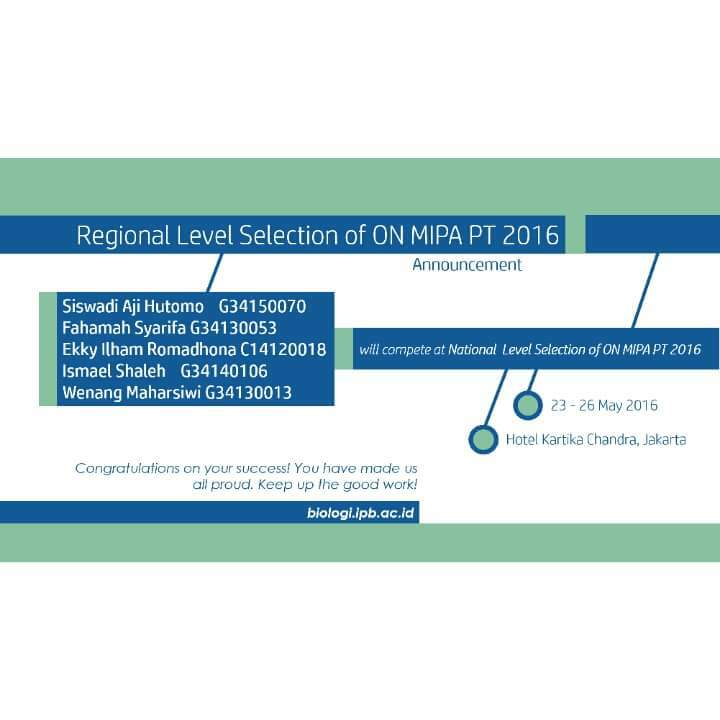 Based on RISTEKDIKTI announcement (page), here listed delegation of ON MIPA PT – IPB who have a right to participate ON MIPA PT national selection (23 – 26 May 2016) at Hotel Kartika Chandra, Jakarta. Futhermore, please fill in questionaire here https://goo.gl/jdlVMc. Congratulations on your success! You have made us all proud. Keep up the good work! Kindly prepare for national selection.